Nice and clean 2 BR 2 BA home in Sun Lakes. Interior and Exterior painted 11/18, new carpet in BR's 11/18. Tile in the rest of the house. 2 covered patios, one off eating area and one off of the living room. Plenty of room for outdoor entertaining. In addition to the garage there is another storage room off of the patio. 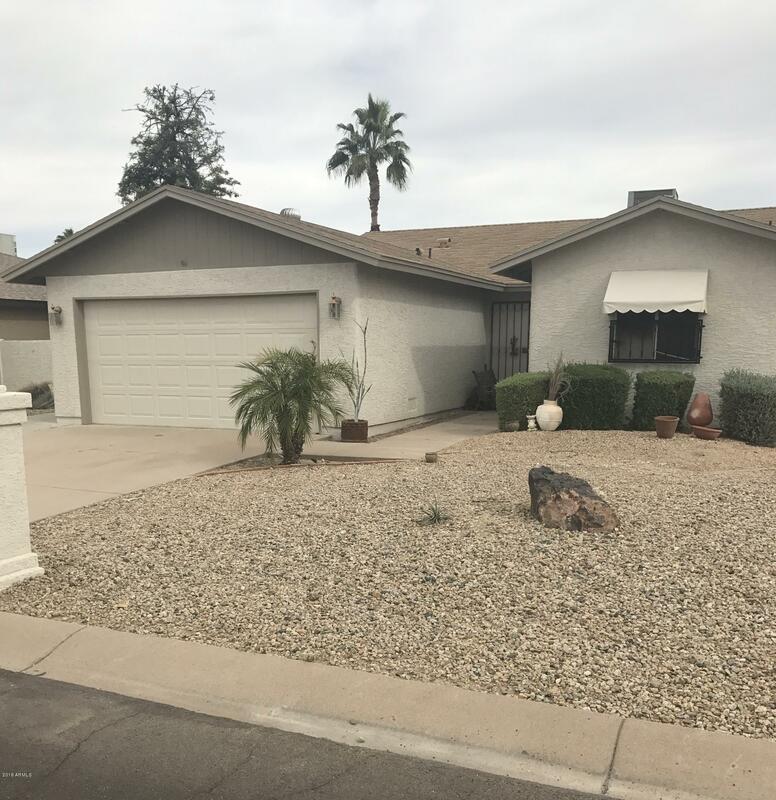 Desert landscaped front and backyard make for easy lock and leave. Sun Lakes has golf, swimming pool, tennis courts and lots of activities, be as busy as you want.